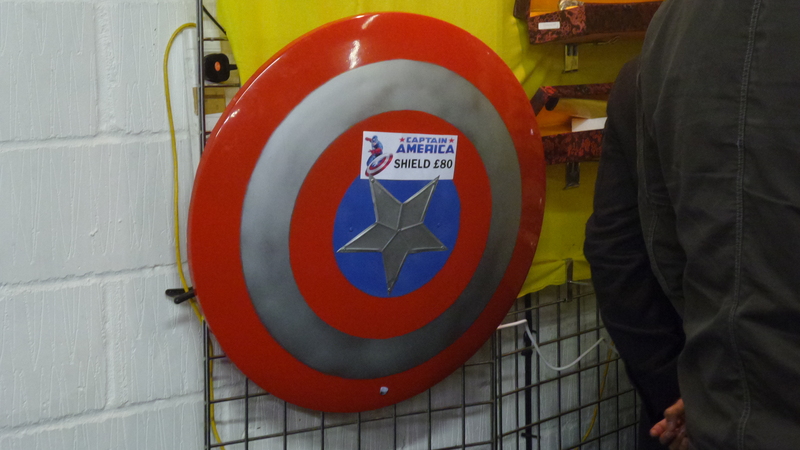 Vibranium prices have slumped as seen by the prices at a recent trade show in London. It’s not known if this drastic collapse in prices is due to the general slow down in the world economy following the economic crisis and resulting miss-allocation of funds, or the result of the “Vibranium Cancer” problem. The Vibranium Cancer incident occurred when a the more stable form of Vibranium came into contact with Captain America’s Shield, and the transformation front started to move through the world. Although global crisis was averted, the incident did show how little is known about this wonder metal, and the associated risks. This seems like bad news for the country of Wakanda where Vibranium ore is mined, and is usually a lucrative export. It’s well established that in science we can use Occam’s Razor to decide which is the most likely explanation, that between competing hypotheses that one that requires the lowest number of assumptions should be preferred. Newton’s flaming laser sword is a philosophical razor coined by Mike Alder in an essay entitled “Newton’s Flaming Laser Sword, Or: Why Mathematicians and Scientists don’t like Philosophy but do it anyway” . To summarise the position that “what cannot be settled by experiment is not worth debating”. It was published in Philosophy Now in May/June 2004. The razor is humorously named after Isaac Newton, as it is inspired by Newtonian thought, Mike characterised this sword as being “much sharper and more dangerous than Occam’s Razor”. 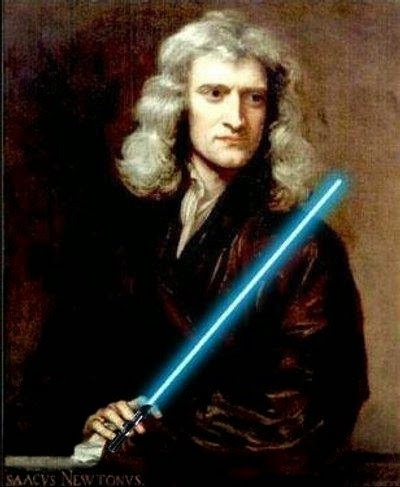 Newton’s flaming laser sword sounds very useful. It slices, it dices… it might be suggested that such a sword could cut away too much, and prevent one from taking a position on politics or religion. That’s not really true, it would prevent one ever being able to make religious explanations or do other special pleading and claim it was science. In the field of politics it may leave one asking for evidence to support particular political judgements. I don’t think those are bad outcomes. Mike Adler suggests that the flaming sword is a useful tool against Platonic philosophers, who may ask one to engage in an older type of game, than the one usually played by modern science and mathematics. Anyway, this leaves the question, has anyone every seen Occam’s razor or Newton’s Flaming laser sword? I think we need to mount an investigation as to were these useful historical artefacts have been left. Transparent aluminium is used in ‘the Star Trek Universe’ to make exterior windows of star ships. This material features strongly in the plot of the movie Star Trek IV: The Voyage Home. The crew of the enterprise has gone back in time to bring back a pair of whales to communicate with an alien probe. Once they have travelled to the past set about building a giant aquarium, but not having any earth money with which to buy the materials needed. In the end the aquarium isn’t made from transparent aluminium but from a giant sheet of perspex they get by trading the recipe for the transparent aluminium. Despite mention of transparent aluminium, this aquarium built inside a Klingon starship actually used perspex in its construction. Fairly realistic claims have been made about the mechanical properties of transparent aluminium, it claimed to be as clear as glass, and have the strength and density of high-grade aluminium. Star Trek science consultant André Bormanis has reasoned that the transparent aluminium is unlikely to be a conductor of electricity, presumably because it lacks free electrons that would usually give a metal it’s metallic appearance. If that is the case then this material is mis-named. Transparent aluminium seems to be a popular meme. Aluminium Oxynitride is a polycrystalline ceramic with spinel structure which is said to have similar mechanical properties to transparent aluminium (made from aluminium, oxygen and nitrogen and processed by powder technique), which is used for high temperature viewing windows and for armour. In 2009 scientists from Oxford lead an experiment at the DESY facility in Hamburg Nagler et al. (“Turning solid aluminium transparent by intense soft X-ray photoionization”, Nature Physics 5, 693–696, 2009), in which aluminium was rendered transparent for short periods of time by bombardment with a very strong light source, which allowed exotic states of matter to be investigated. More recently Röhlsberger et al. (“Electromagnetically induced transparency with resonant nuclei in a cavity”, Nature, 482, 199–203, 2012), have reported a similar phenomena for small clusters of atoms where the optical properties of or interest. An alloy of ‘Vibranium’ and steel created by accident, this industructable alloy was only made once, in the shape of a test piece which was then presented to Captain America to use as a shield. The indestructible nature of the alloy means it is not possible to characterise. Attempts to recreate the conditions of the alloy lead to the development of Adamantium. The nearly indestructible alloy forcibly implanted into Wolverine. Captain America before he received his iconic round shield made from Verbranium. Without it he was only able to defeat Nazi’s.